REGISTER FOR THE 2018 MARTIAL ARTS SPECTACULAR! The VSK Jiujitsu Institute of Self-Defense is starting off 2018 with a bang with this highly anticipated Martial Arts Spectacular! 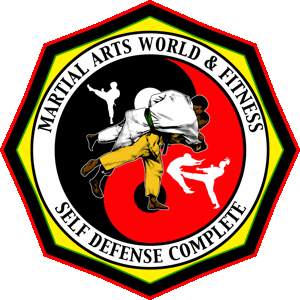 This event, hosted by 10-time black belt grand champion in self-defense and 4th Dan in VSK Jiujitsu, Shihan Lemuel Muhammad has gotten bigger and better than before! This time around, three awesome events have been rolled into one power packed weekend! Saturday, March 17, 2018 begins Day 1 of our 12th Annual Survival Training Seminar. Participants ages 13 and older will receive a full day of rigorous and raw survival and self-defense training as we feature the return of 10-time Black Belt Hall of Fame Inductee, 10th Dan in Sanuces Ryu Jiujitsu and founder of VSK Jiujitsu, Grandmaster Anthony Muhammad! Saturday winds down with a wonderful evening of food, fellowship and accolades at the Annual Awards Banquet. We honor and celebrate our students and families for their accomplishments during the year in both the martial arts and service to our institution. Awards categories include: Student of the Year, Parent of the Year, Most Improved, Most School Spirit, Rank Promotions, etc. The Banquet will go from 7:00 PM until 10:00 PM. Day 2 of the 12th Annual Survival Training Seminar begins Sunday, March 18, 2018 at 1:00 PM. This day is all about the youth with the hotly anticipated FIRST EVER Skill Olympics! This is the event where our youth ages 6-12 will compete through demonstrating their skills in: joint locking, throwing, mat work, kata (forms), weapons kata, continuous sparring and self-defense! ALL MARTIAL ARTS WHO PRACTICE THESE SKILLS ARE WELCOMED!!! !